Posted December 24, 2016 by Andrew Curnow & filed under Episodes. Grantchester tasks itself with fitting a lot into each episode – mixing personal trauma, familial relationships and a little bit of social commentary in with the homicide and intrigue, it’s no wonder that its murder mysteries are rarely the most devilish or convoluted. That’s not a criticism by the way, just an observation – and for this Christmas special, perhaps taking advantage of the slightly longer run time, there is a twist on a twist for us to enjoy. A bank manager is murdered and robbed the evening before his wedding, and the most obvious suspect is his fiancée, a brassy young exotic dancer (and possible gold-digger). 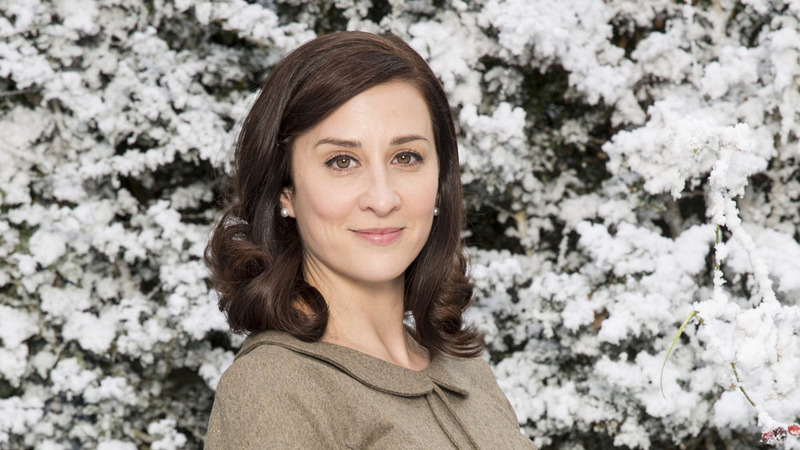 She seems such an obvious candidate in fact that it obviously can’t be her, which is why Sidney and Geordie spend much of the episode determined to prove her innocence, only to discover at the eleventh hour that it really was her after all. With a large regular cast to accommodate, we’re also not afforded all that large a net of guest stars to suspect of the crime. Ignoring the obvious, Geordie is certain that the killer is Albert Tannen due to a similarity with another murder several years before of which he was suspected but never charged. The role of Tannen gives Julian Glover ample opportunity to remind us of just how skilful an actor he is. At different points in the story, he’s required to be bitter, cruel and friendless; to be a gruff but tentative grandfather; and to be the father reconciled with his daughter after too many years. But he seamlessly makes them just different facets of the same man, with a very touching and unshowy performance. It’s Christmas of course, so in addition to the normal scenario of a vicar and a policeman investigating a murder (!) there are some suitably seasonal additions. Snow, carol singers, Geordie grumbling about his in-laws… Not to mention Leonard (Al Weaver continuing to make the bookish little curate an oddly loveable character) and his brave attempt at a Brechtian take on the traditional Nativity. There’s also, and I’m sure this won’t be the only review to spot it, a heavily-pregnant woman with no roof over her head, who promptly gives birth and shares the moment with the man she loves even though he is not the baby’s father…. Now that’s definitely Christmassy, although I think it would be stretching it a little to suggest that Sidney, Geordie, and Leonard, constitute three wise men. 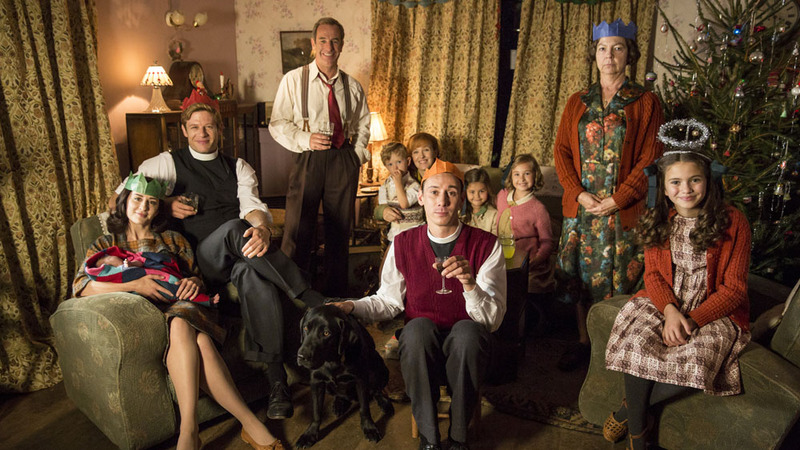 With its proactively diverse casting (at least in guest parts), with its unquestioned acceptance of a homosexual priest, and with a community apparently unphased by the notion of a vicar sharing his vicarage with another man’s wife, Grantchester’s 1950s setting is undoubtedly, and quite rightly, filtered through a 21st Century eye. But it’s warm and uplifting, with humanity and compassion ultimately winning the day, even if in the process it gives us an overly cosy view of the past. Well, apart from all those murders of course! Aired at 9pm on Saturday 24 December 2016 on ITV.